Licia Ronzulli, an Italian member of the European Union’s Parliament, sat poised and focused in her parliamentary seat. Her right hand raised in a vote, her left hand turning a page on her desk, and wrapped around her body, a newborn baby asleep in a sling. I’m a new mom too, and even though I work in a completely supportive environment, becoming a mom made me terrified for my career. For as many women as are now in the workplace, there are still relatively few successful models for new moms who want to keep their careers going. We hear about these supermoms, but they’re not usually represented in our media. So when I saw this picture, I was moved to tears. It’s not because I think it’s so amazing that a woman could bring a baby to work (although that is pretty great) or because of a sudden hormonal surge that makes me tear up every time I see a baby. My tears are tears of relief —- here, finally, is a picture that shows that a woman can be both professional and maternal at the same time. Merging these identities -– the professional me who likes the feel of a suit and a challenging debate and the maternal me who will spontaneously burst into song and dance about just about anything –- is hard in a world that persistently devalues the endless work of mothering while hyping up the overwork we do in our careers. Here, finally, is a real picture of a woman I can admire. I don’t know Ms. Ronzulli’s politics or the intimate details of her own work/life balance. What I do know is that this image makes me feel proud and hopeful. Finally, here is a poised and confident woman who, by simultaneously occupying these dual roles, appears all the more so. 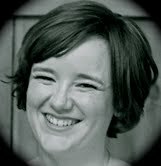 Bio: Katie Bethell is a tech-savvy progressive activist, feminist, mom, and writer in the Seattle area. Katie’s writing has been featured on the Huffington Post, MomsRising.org, and other leading outlets. Her consulting firm, Left Hook Consulting, specializes in bringing campaigns to the cutting edge by applying the wisdom of traditional organizing to the tools of the internet age. Visit www.lefthookconsulting.com.